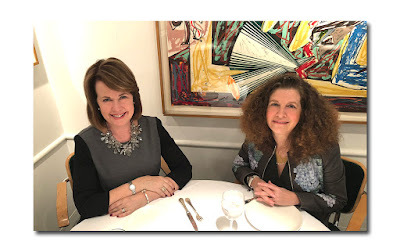 Sparklers of the Non-Incendiary Kind On Sale: A few weeks ago I visited the Gale Grant store on Madison Avenue in search of a statement necklace to wear with a multicolored, abstract floral (it actually resembles camouflage) gown. I had already searched many stores and couldn't quite find what I was looking for and was starting to think it didn't exist. A two-strand creation of unusual vintage beads that echoed the colors in my dress immediately caught my eye. In addition, I bought a beaded and silk tassel necklace and a pair of earrings to add to the ensemble. All of those pieces were designed by Liza Gottlieb who also sells out of her East 61st Street. studio. She is having a sample sale on July 1st and 2nd in which many of her designs including bracelets, show-stopping necklaces, earrings and rings will be half off. "These are not things you find in Chinatown," Liza said referring to her one-of-a kind pieces. She travels the world three times a year collecting and curating materials from flea markets and other sources in her native Paris, Barcelona, St. Petersburg and Vienna where she grew up. "You just can't find these here," she said, showing me the type of well-made, sturdy base used for one model of her elaborately beaded earrings. She proffers an example of what's available locally and I see that it can be bent in half quite easily unlike its French counterpart. The quality she insists on has apparently been noticed by Hollywood elite. "I call this one the Catherine Zeta-Jones" she remarks while showing off a multi-strand many colored torsade; a twin to a necklace that had previously been purchased by the star. Not only is the jewelry itself interesting but Ms. Gottlieb has designed it with beautiful, functional and easy to use clasps that hook into each other effortlessly; a feature which anyone as inept as myself will certainly appreciate. 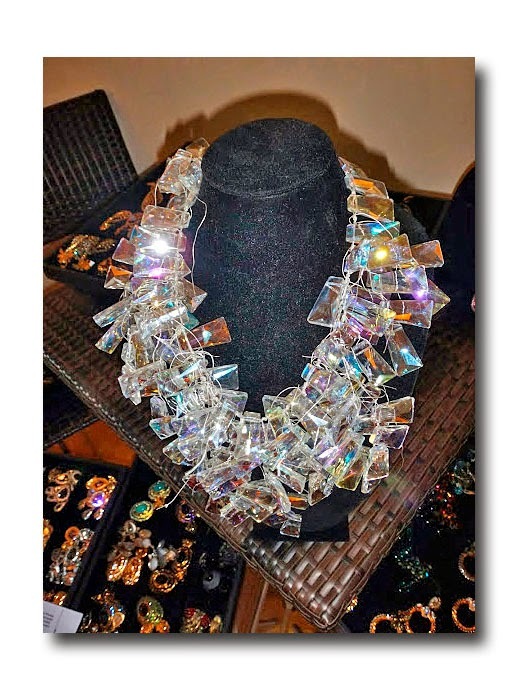 She has several necklaces that can be added to others, in order to lengthen a choker by virtue of decoratively embellished and crystallized magnetic clasps. Several others are made as lariats that simply tie closed. 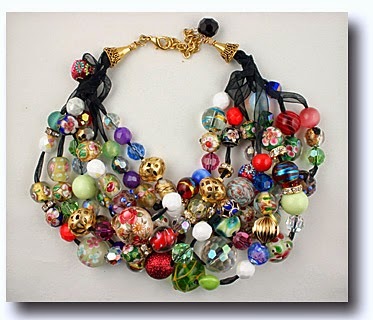 She also has some magnetized embellishments that can be added to any of her necklaces so that you can further customize your look. Sale priced jewelry begins at about $100 for a bracelet with semi-precious stones (they make great gifts) on up to some of the more flamboyant necklaces which retail for about $900 and will be $450 for the sale. 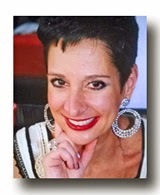 For more information about her July 2 4PM-8PM sample sale contact (917) 292-9964 or lizalieb@yahoo.fr. Patriot Act: The red/white/ blue and ubiquitous wearing of "Old Glory" in clothing normally reserved for July 4th has gotten an extended turn this year thanks to the World Cup. Beginning in mid-June I started observing this trend and initially thought the wearer was getting an early jump on Independence Day. Silly me, I eventually realized the error of my ways and noted that there would be an entire month devoted to the donning of the flag. A similar event happened way back in 2012 (Summer Olympics anyone?) enabling a writer in Boston to sound off (tongue-in-chicly, I'm assuming) as it is technically a "federal offense" to wear the flag or its knock-offs. (see Boston Magazine article) Maybe someone should tell that bit about not wearing stars and stripes to Ralph Lauren...HA! Why the writer calls out women in particular (It's entitled "Ladies, Stop Wearing the Flag") when the guy in the photo wears a flag swimsuit as well, is a mystery. 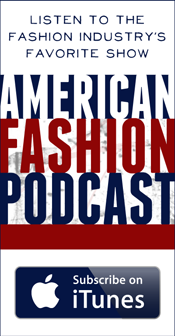 Among the iconic garments worth a mention here is Catherine Malandrino's famous American flag dress which first appeared in 2001 (eerily pre 9/11) and has been re-issued due to its popularity and re-made in slightly different forms ever since. In a more international forum, shoe and bag designer Charlotte Olympia who's half-Brazilian has issued a limited edition of her Perspex clutches complete with soccer flag inserts as a sporty tie-in. Fun fact: her trademark spider closure is painted to look like a soccer ball. I also took note of several classy vintage finds from 1st Dibs, just in case your 4th involves something dressier than a weenie roast. 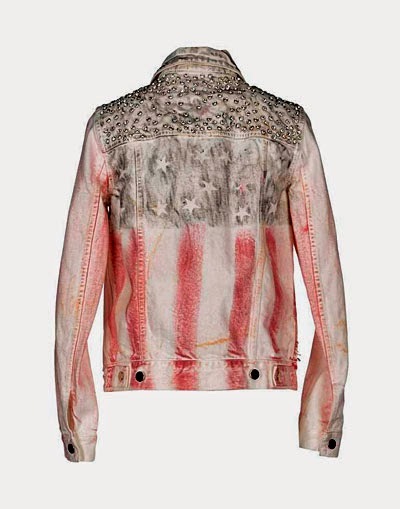 These include a Balmain flag print jean jacket, a Jean Paul Gaultier dress in draped red and white as well as a red with white polka dotted jersey Pauline Trigere dress; to the last two dresses you could always add a blue accessory. Seen On (and around) The Subway: No, not flashers, thank goodness, although judging from The New York Daily New's recent "coverage" (or should I say "exposure") they're very common. My observations were of a kinder, gentler sort including the grin inducing "Pac-Man gobbling up the dots" sign seen on the L train. 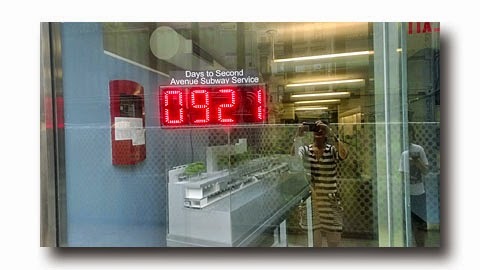 I also did a double-take and had a laugh at the electronic sign in the window of the 2nd Avenue Subway's Information Office located near 86th Street on Second Avenue. Only 921 days and counting (for those mathematically challenged, that's almost 3 years!) until you can ride its first installment. In all fairness I saw that sign a few days ago so we could be talking a mere 915 days by now. This is actually something to marvel at as my husband remembers his father speaking of 1935, the year he was 15, when the Third Avenue El was torn down and the Second Avenue subway was invoked as the line that would replace it. Unbelievably, it never happened in my father-in-law's(aka "Poppy's") lifetime. Out of the Mouths (and off the Backs) of Babes: I don't as a rule like to mention the Kimye duo on this blog and knowing their propensity for everything outlandish actually cringed at the thought of what they might do to celebrate baby North West's 1st b'day. As we now know they brought "Kidchella" to Kourtney's backyard complete with Ferris wheel, musicians, carnival food and face painting. Of course with the Kardashians there's got to be a scandal; Khloe got in trouble with the Native American community for wearing full Indian headdress. I say forget it as long as there were no " Molly" laced lollipops floating around and no pacifiers used to prevent "ravers" rolling on "E" (rather than tuning into E!) from biting their tongues. 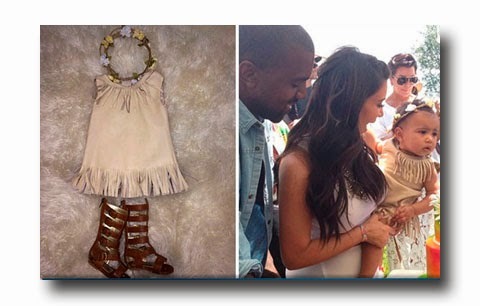 Little birthday girl Nori's OOTD (Outfit of the Day) was a fringed suede-like "Pocahontas" inspired dress (don't even want to know what high-end designer made it), the all important crown made of flowers, and looks to have included encasing her little chubby baby legs in gladiator sandals at some point. Yes, that is child abuse in my book...no word on whether she even walks yet (somehow we know that the "other Royal baby" aka Prince George is getting around on two feet now). Certainly any attempts at footing it that "Norphan" or "Ignori" (as the press have dubbed her) might have considered would be indefinitely quashed with gladiator pre-walkers. Here's wishing you a Happy 4th...no matter what you wear!